Based on a play by Arthur Laurents, Home Of The Brave recounts the story of a young black soldier (James Edwards) who has suffered a nervous breakdown and developed psychosomatic paralysis. 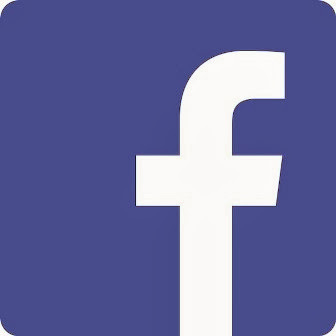 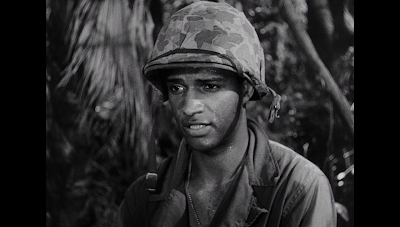 Crippled by rage and trauma, his condition was induced by experiences encountered during a reconnaissance mission combined with a lifetime of racial discrimination. 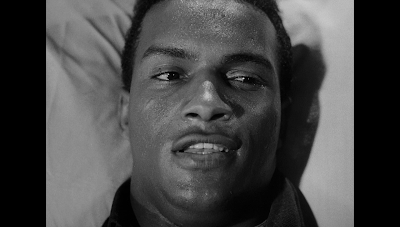 He may be able to walk again, but only if he can overcome his anger and frustrations. 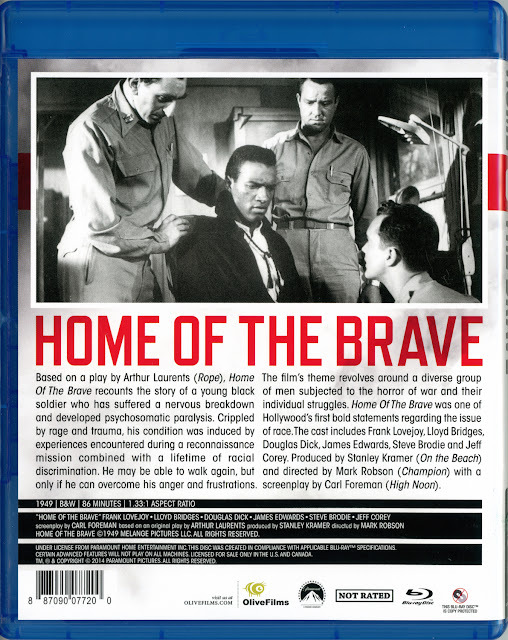 The film’s theme revolves around a diverse group of men subjected to the horror of war and their individual struggles. 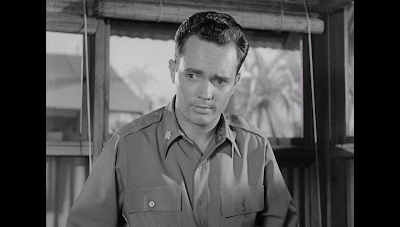 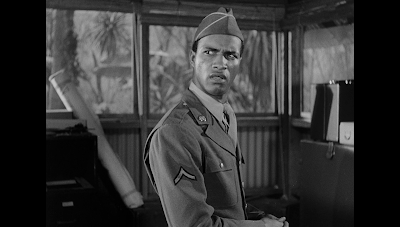 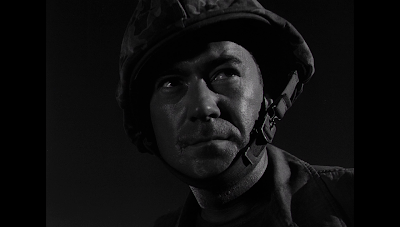 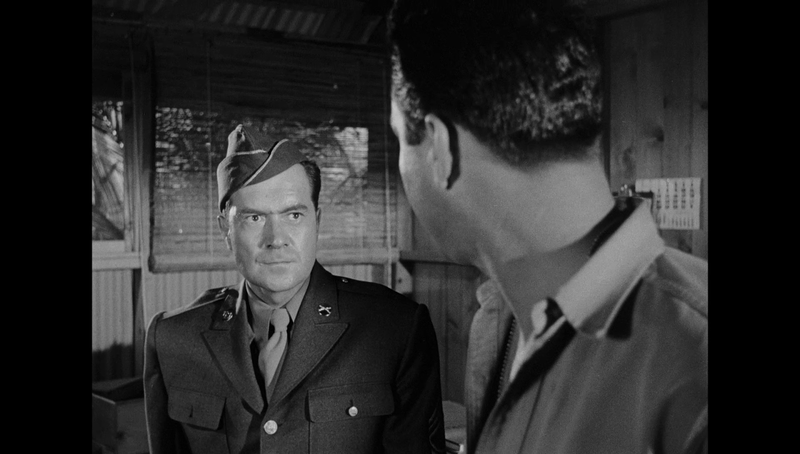 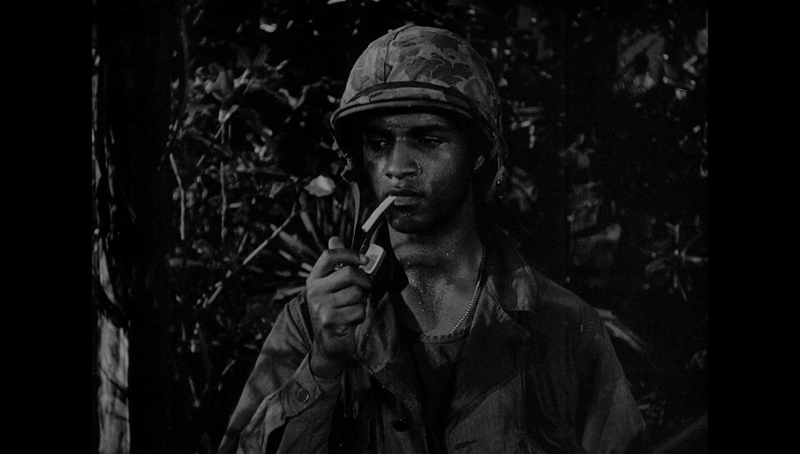 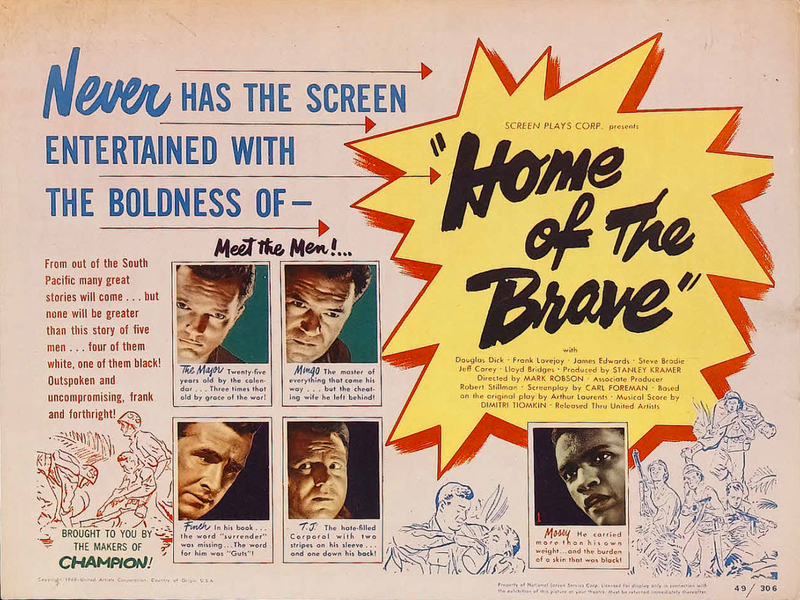 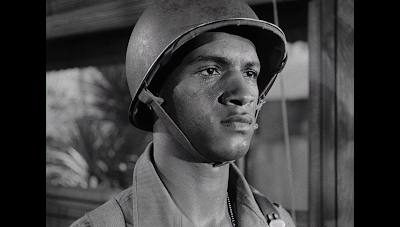 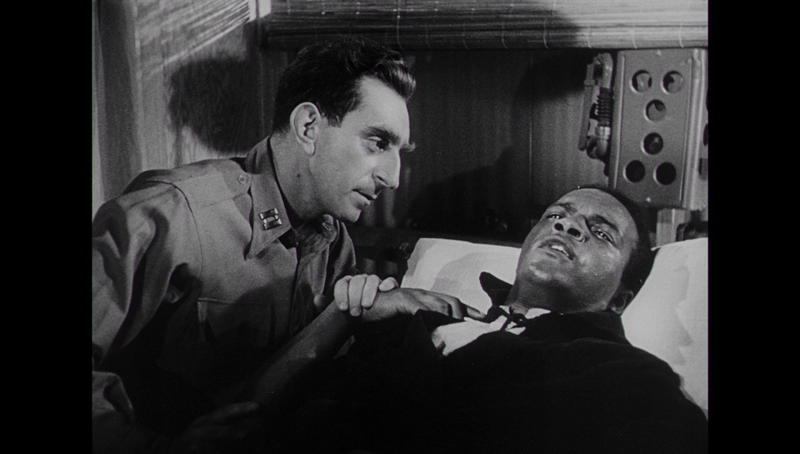 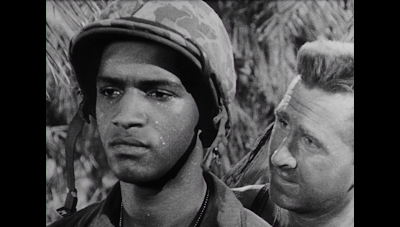 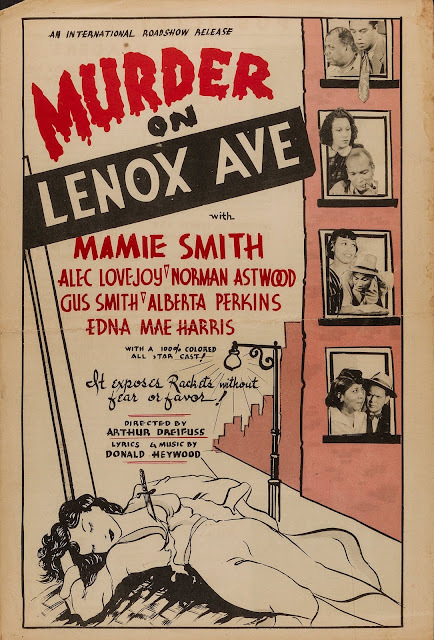 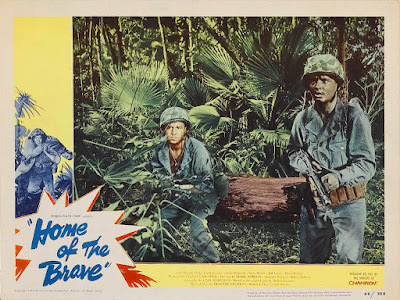 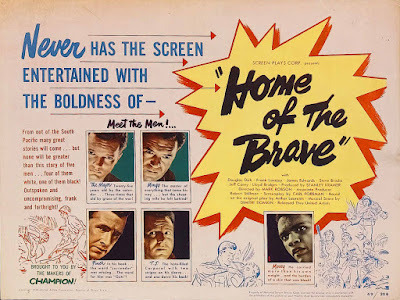 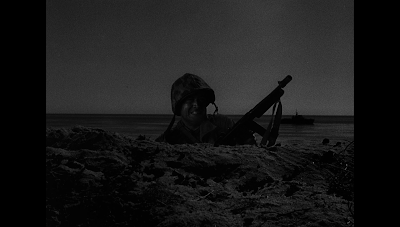 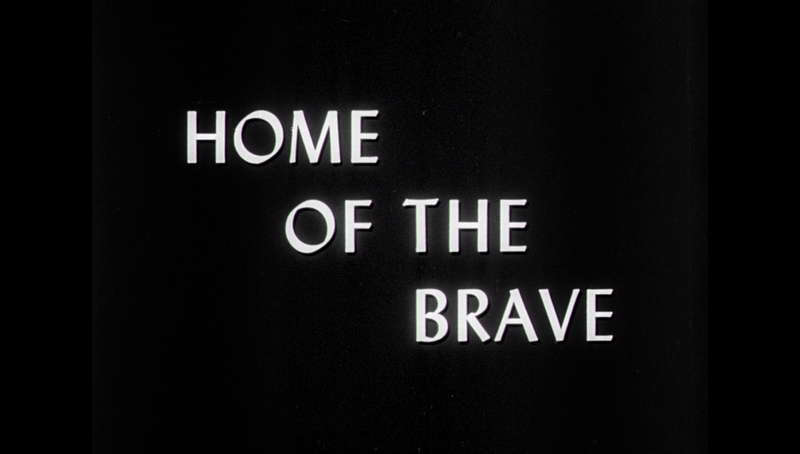 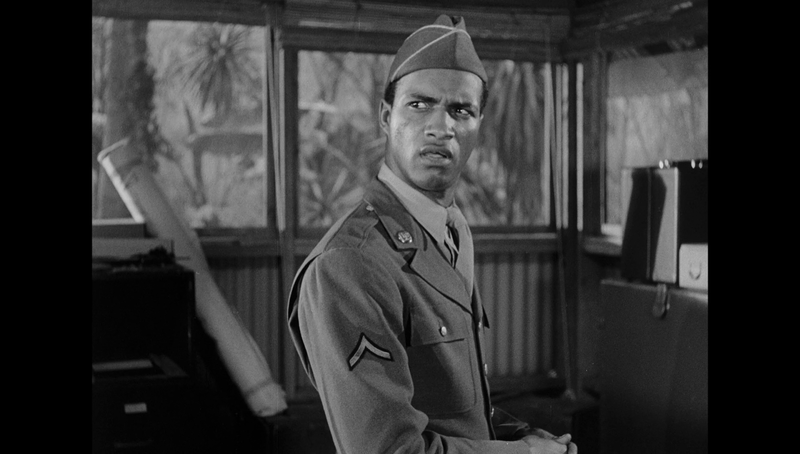 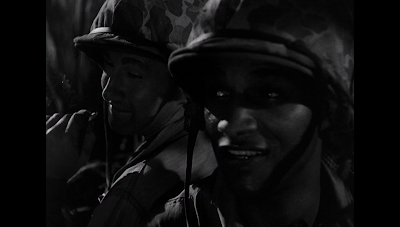 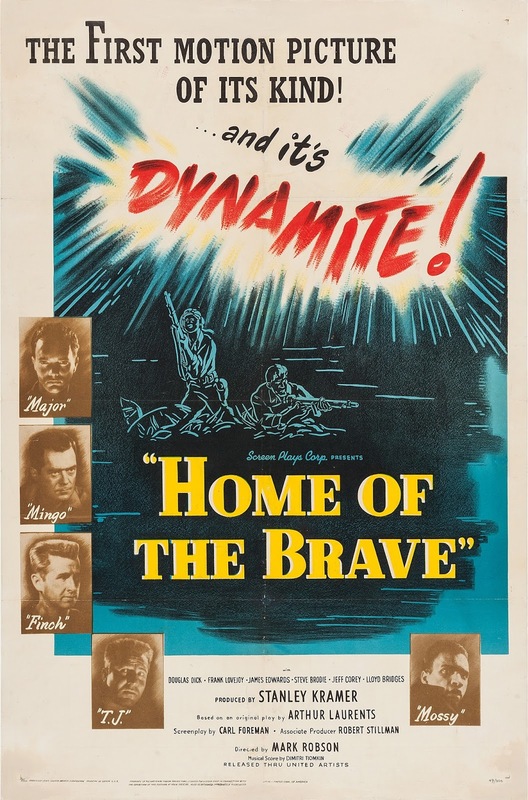 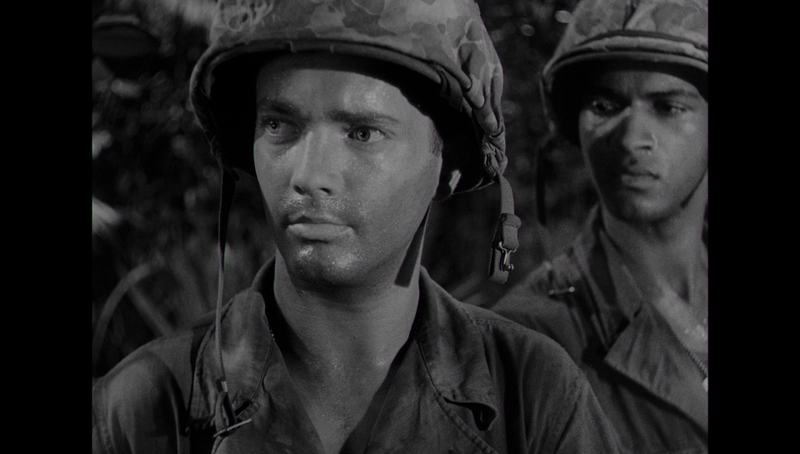 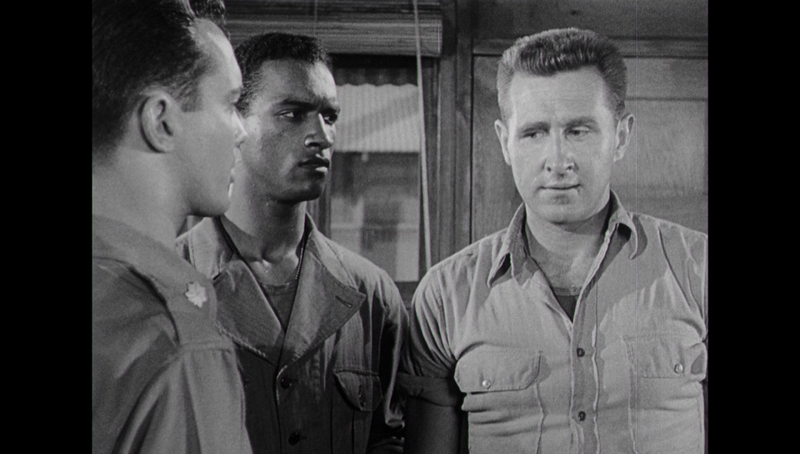 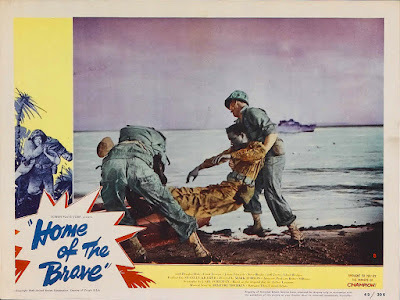 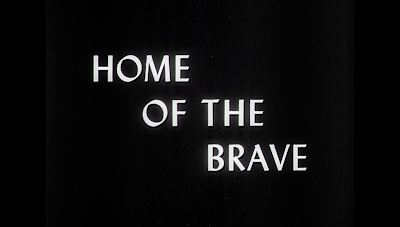 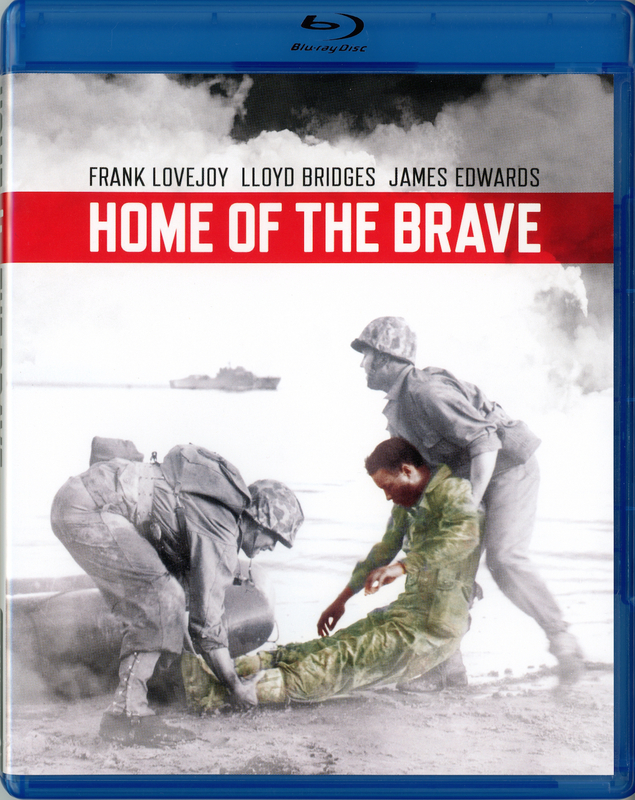 Home Of The Brave was one of Hollywood’s first bold statements regarding the issue of race.